DUG Insight User ManualFrequently Asked QuestionsFrequently Asked Questions WorkflowsHow can I calculate pseudo-impedance from seismic data? You can calculate pseudo-Impedance which can be used as a quick-look approximation of actual impedance. 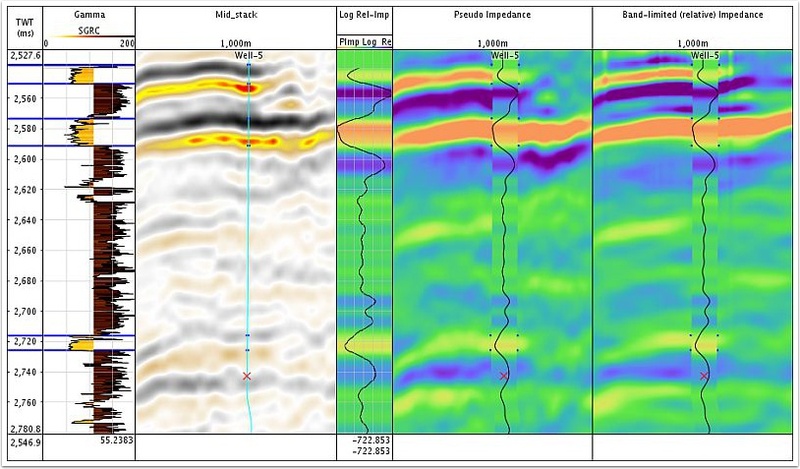 Load a seismic stack from the Volume tab e.g. "Stack". Calculate pseudo-impendance by using the Volume Integration process. Go to the Process tab and add a new Volume Integration process e.g. "PseudoImp-Raw". Select the earlier loaded stack as Volume and set the method as Integration. Apply a bandpass filter to remove low-frequency bias. 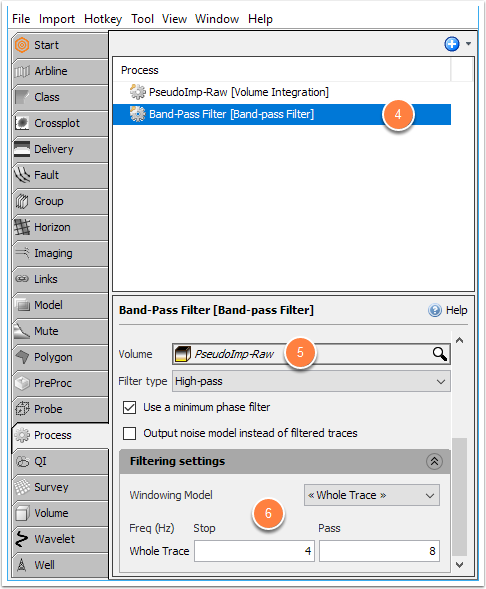 in the Process tab, add a Band-Pass Filter process. 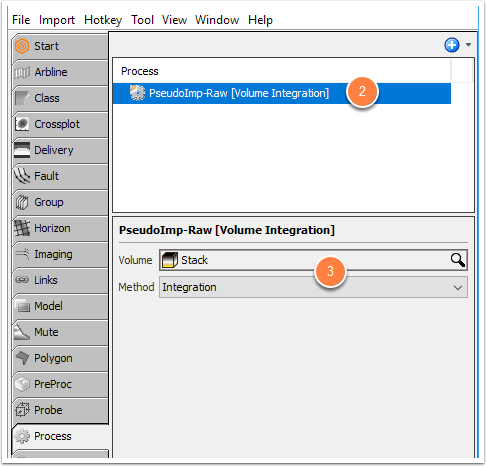 Select the volume created from the Volume Integration process e.g. "PseudoImp-Raw". Select "High-pass" as the type and the frequency range of 4 to 8 (adjust according to seismic bandwidth). An example comparing the log relative-impedance to pseudo-impedance and a band-limited impedance (from 3 stacks).